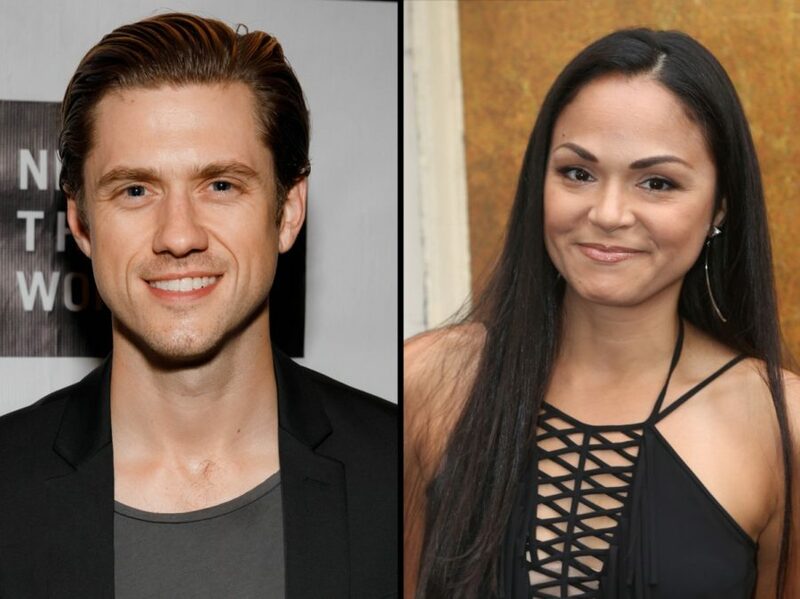 Broadway.com has learned exclusively that stage favorite Aaron Tveit and Tony winner Karen Olivo are stepping into the shoes of Ewan McGregor and Nicole Kidman in the developmental lab of Moulin Rouge! The Musical, based on Baz Luhrmann's 2001 motion picture Moulin Rouge. Tveit and Olivo are currently leading the show's previously announced workshop presentation in the roles of Christian and Satine, respectively. The workshop began on October 30 and will continue until December 15. Tveit was most recently seen onstage as Bobby in Company at Barrington Stage. His Broadway credits include Hairspray, Wicked, Next to Normal and Catch Me If You Can. His screen credits include Grease: Live, Les Misérables and Graceland. Olivo is a Tony winner for West Side Story who has also been seen on Broadway in Rent, Brooklyn and In the Heights. She was recently seen in the Chicago production of Hamilton and will lead Fun Home at Madison, Wisconsin's Forward Theater Company in 2018. Featuring a book by Tony winner John Logan, directed by Tony nominee Alex Timbers and choreographed by Emmy nominee Sonya Tayeh, Moulin Rouge! The Musical centers on a spectacular club filled with emotions, surprises and effervescence. The story follows a young poet (Tveit) who is exposed into the Moulin Rouge and begins an affair with the club's star (Olivo). As was the case in the movie, the stage musical's score will feature some of the most beloved popular music of the past 50 years. The Moulin Rouge! The Musical creative team includes scenic designer Derek McLane, costume designer Catherine Zuber, lighting designer Justin Townsend and sound designer Peter Hylenski. Casting and details of the premiere engagement of Moulin Rouge! The Musical will be announced.